MidWest Airlines Announces Launch of Nonstop Service to Tampa! Midwest Airlines announced it will launch nonstop service between Omaha and both Orlando and Tampa. The seasonal service will begin Jan. 15, 2010 and continue through April 18, 2010. The service will be provided on 99-seat Embraer 190 aircraft, featuring all-leather Signature and Saver seating in the same cabin, buy-onboard meals and snacks, and complimentary baked-onboard chocolate chip cookies. Pricing on the new routes begins at $114 one way. 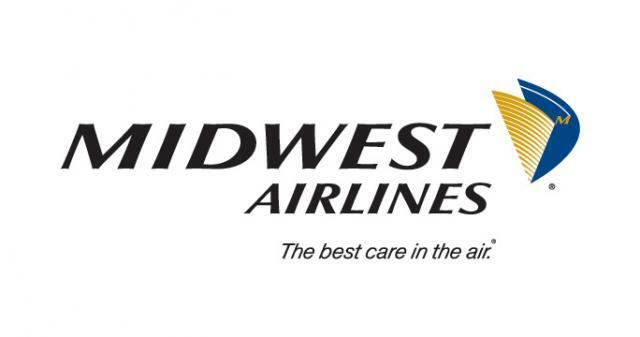 For flight information and reservations, visit midwestairlines.com or call the Midwest Airlines Contact Center at 800-452-2022. Departs at 7:50am; Arrives at 11:50am; Frequency - Mon, Wed, Fri, Sat (1/15 to 2/15/10) and Mon, Tues, Wed, Fri, Sat (2/16 to 4/18/10). Departs at 7:00pm; Arrives at 9:05pm; Frequency - Mon, Wed, Fri, Sat (1/15 to 2/15/10) and Mon, Tues, Wed, Fri, Sat (2/16 to 4/18/10). Departs at 7:15am; Arrives at 11:35am; Frequency - Thursday and Sunday. Departs at 6:25pm; Arrives at 8:40pm; Frequency - Thursday and Sunday. and of course, there are the Terms and Conditions, so long on to midwestairlines.com to get more details. But in all, this is great news for Tampa Bay, and for central Florida. Keep checking back for more Tampa tourism updates, as well as info on great things to do in Tampa Bay and other Tampa Bay area events.